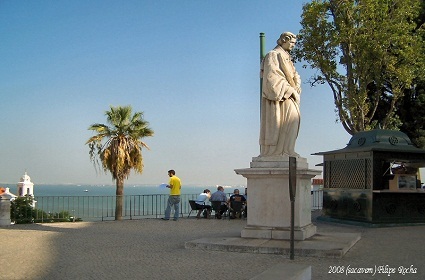 The esplanade café Portas do Sol, which translates into The Gate of the Sun, from the beautiful Portuguese language, only recently opened its doors in Lisbon, during the fall of 2009. Located near the famous viewpoint of with the same name, it is a beautifully designed restaurant, coffee house and cocktail bar that is quickly making its mark in the district. 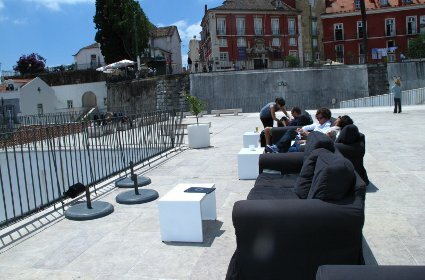 It is the perfect place to unwind after touring the nearby Sao Jorge Castle. 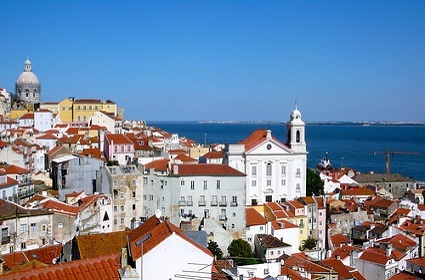 You can order one of many favorite coffees or cocktails, depending on the hour, and just sit and gaze over the beautiful city of Lisbon in one of the most historic visitor sites of all near the river Tagus. 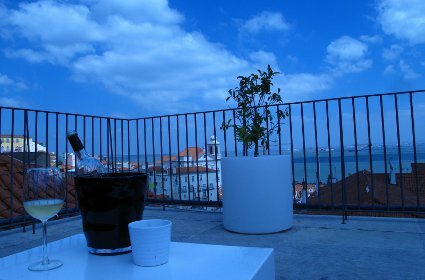 Portas do Sol esplanade is located above a centrally located car park, with the river and castle inspiring romance, peace and a stylish place to soak up the sun. 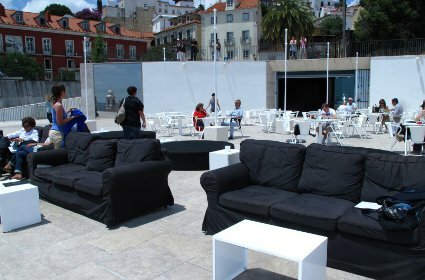 During the day you can hang out and sip coffee and snack on sumptuous cakes and other delicacies. At night, the place comes alive to the strains of live music and DJs.